Metal-organic frameworks (MOFs) are synthetic materials which are porous on the nanometre scale. They have a wide variety of real world applications including the capture and storage of carbon dioxide, the capture of water from the atmosphere for harvesting in the desert and the storage of hydrogen for use in renewable fuels. 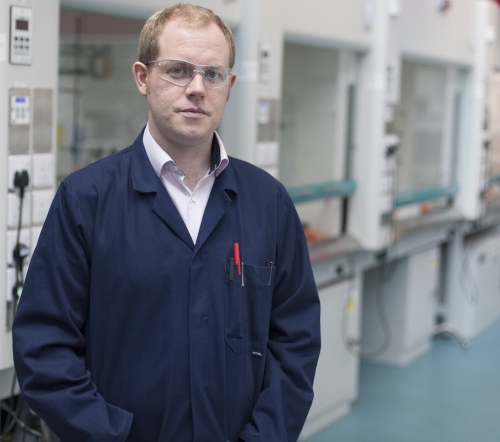 Dr Forgan’s research group focuses on using MOFs for healthcare applications including the storage and controlled release of drugs for enhanced anticancer therapies. ‘Collaboration is essential for cross-pollination of ideas, equipment, researchers, and industrial priorities, and truly drives innovation in research,’ notes Dr Forgan. The international collaborations Dr Forgan has developed with partners in academia and industry have allowed him to exchange students, ideas and results, and has led to a number of significant publications. 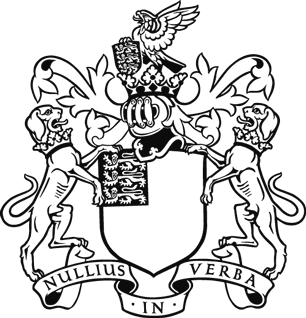 Dr Forgan met one of his key collaborators at his Royal Society induction day and they have since worked extensively together including collaborating on a spin out company based off their shared expertise. Dr Forgan hopes to translate the significant academic impact his group has achieved during his University Research Fellowship into commercial outputs. His group has been successful in demonstrating important mechanistic information about the nature of the interactions between MOFs and biological entities. This work has already had implications in the group’s investigation of anticancer therapies whereby they were able to show 200-fold increases in selective anticancer cytotoxicity of simple drug molecules by altering drug uptake pathways. Dr Forgan aims to pursue this line of research further which may have a significant impact on improving the efficacy of anticancer therapies.